Join us for a fun filled family afternoon! 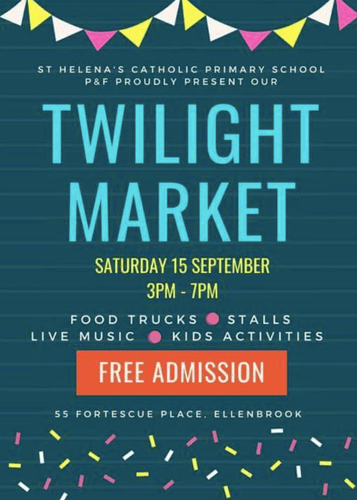 Featuring multicultural food trucks, market stalls, kids entertainment and much much more! All funds raised go to St Helena's Catholic Primary School.